This past weekend, myself and a few of my friends set out on a 2 night camping trip to Stone Mountain, North Carolina. This park offers it all. 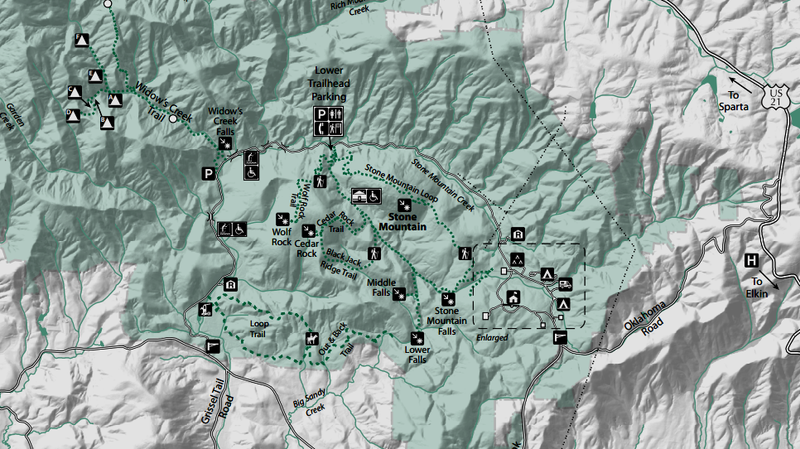 Vistas, rock formations, stream crossings, cascades, waterfalls, wildlife, and much more. Instead of the heavy drumming of pack laden feet, I decided it was time for a little change. Instead of long, hard miles with a full loaded backpack, I opted for car-side camping, gourmet cooking over the camp fire, and no rush hiking across the granite rounds of Stone Mountain. A bit on the soft side for me? Perhaps. A refreshing and uplifting change of pace? Definitely. Was nearly a disaster. 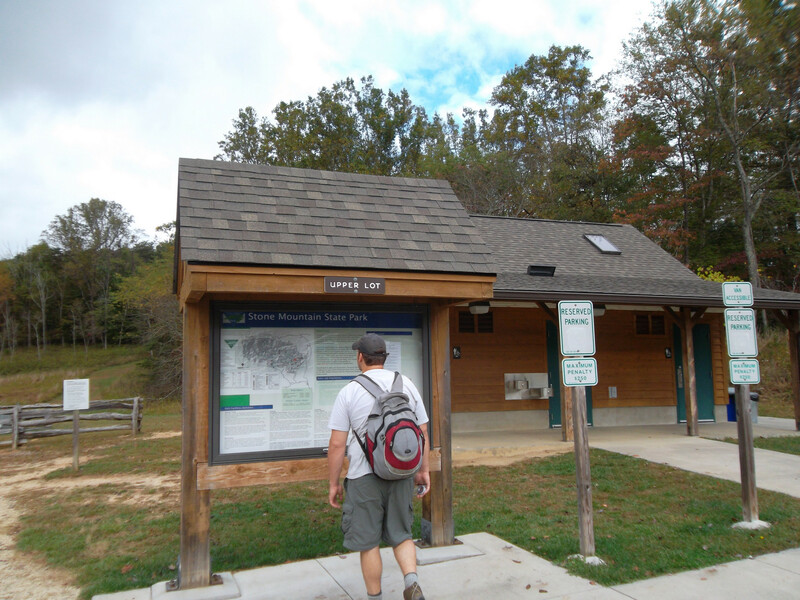 We arrived early to Stone Mountain park looking for a usually easily attainable camping site for a few tents. To our surprise, the entire camp was booked solid. The combination of Fall break, and the closures of Federal parks (a midst the government shutdown) must have sent the crowds pouring over into the previously little known park. Luckily, we found a small, locally owned camp ground just a few miles away with one open spot. It wasn’t what I had imagined, but it held my tent and had a shower. I was content with our luck. We ended up setting up camp later than anticipated, so we opted to just kick back and relax by the fire the entire day. Tomorrow, we would get up and assault the trails of Stone Mountain. 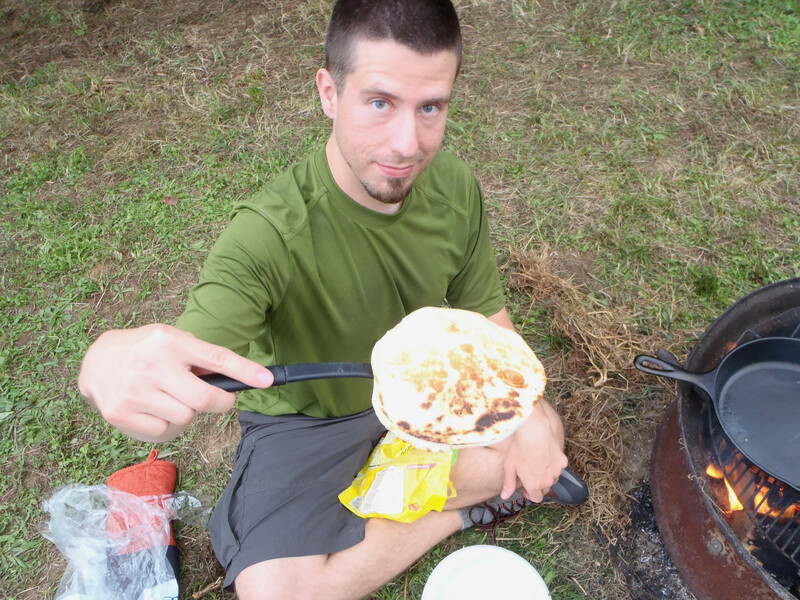 Tonight, quesadillas, bacon, cheesecake, sweet tea, and marshmallows awaited. The camp fire was soothing, and the rain held off until we were sound asleep in our tents. I woke just in time for the pattering rain drops to lull me back to sleep. 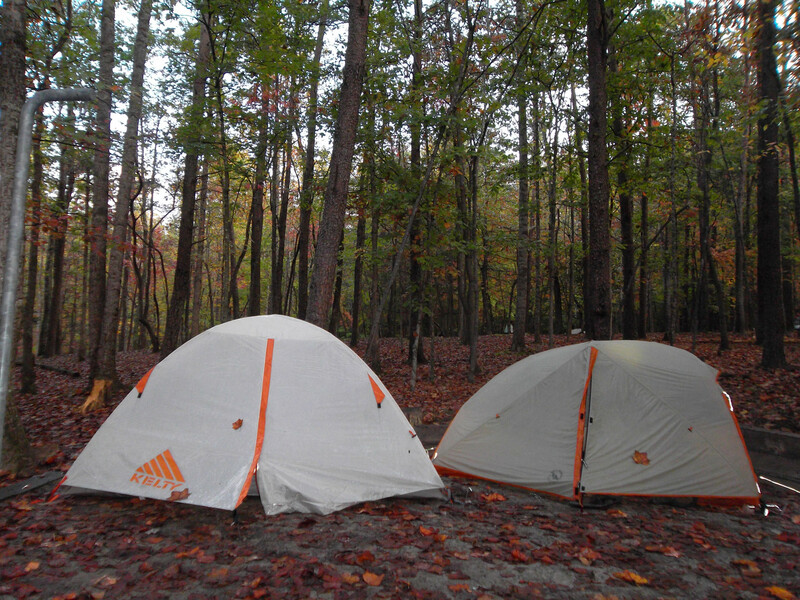 Brought forth some luck as we were able to grab a camp site at Stone Mountain Park itself, bringing base camp right to the feet of an amazing array of trails. 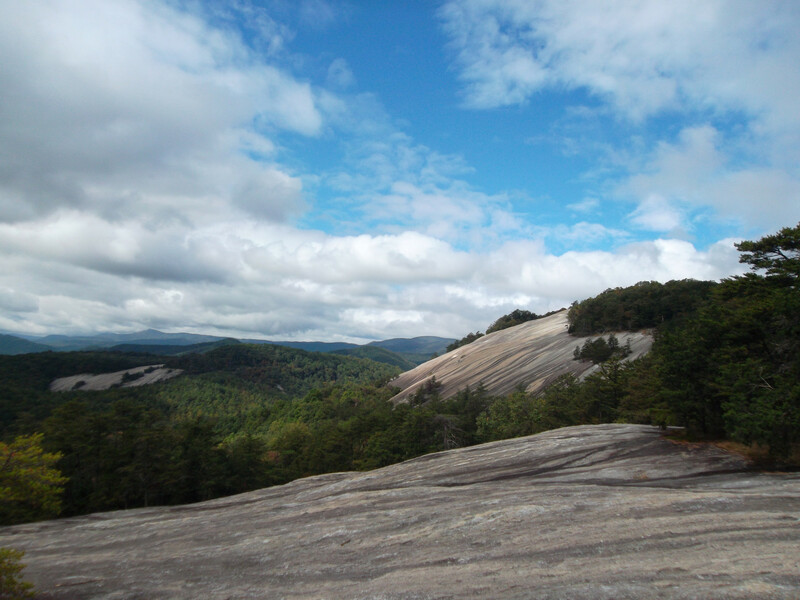 We began on the Stone Mountain trail, where we captured impressive views atop massive hardened granite plumes. 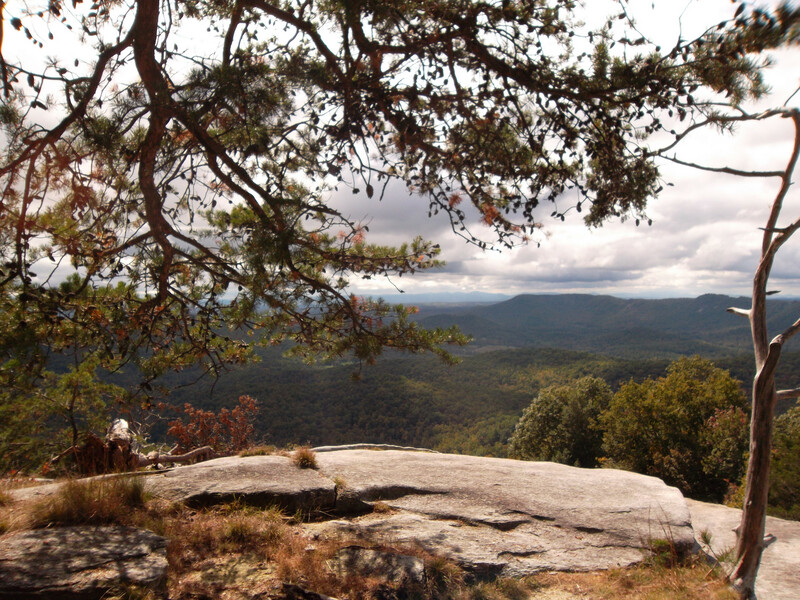 From here, we descended down a relentless onslaught of stairs onto the Wolf Creek Rock trail, where we were gifted with a reciprocal view of stone mountain from the other side of the valley. Pleasantly, and unmentioned on the map, there was a side route onto Cedar Rock. 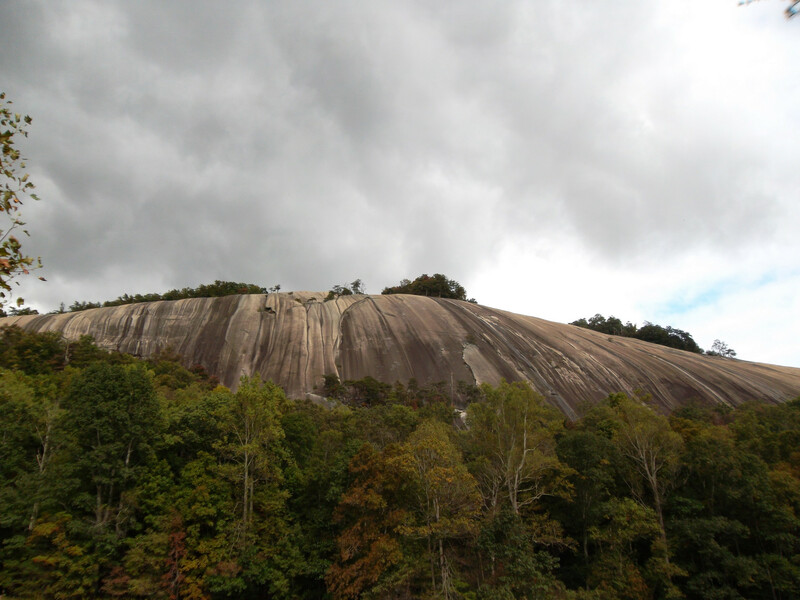 Here, we retracted back to the bottom of Stone Mountain itself. A fascinating view of the rounded magma that once was pours into your lap. Looking up at the mountain is an unreal experience. You’ll also find yourself at a restored homestead of yesteryear’s hiding away at the corner of the mountain. We followed the valley along until we took a side route to see Middle, and Lower falls. 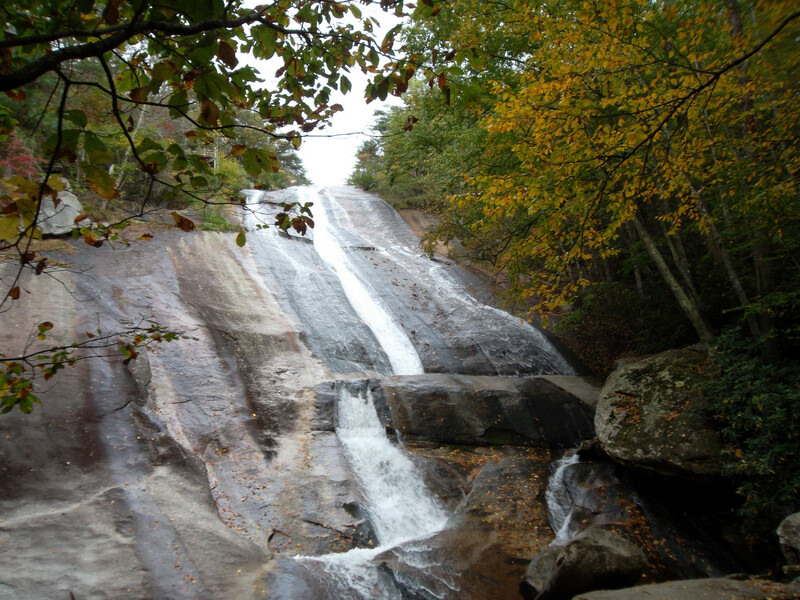 These were quite the treat, earned by several small stream crossings that threaten your last pair of dry socks as you skip across the slippery stepping stones.Finally, on our route back to camp we found ourselves at Stone Mountain falls, an impressive cascade like waterfall reaching over 100 feet into the sky. A return to camp was rewarded with another evening of campfire cooking, great conversation, and hot showers. It was a fitting end to a relaxing, yet exhilarating weekend.